Okay here it is as promised. Thanks to Helen Willliams for reminding myself and Sandra about this little album as Id forgotton Id done one of these before with Yolande Fenneman (my original multi published and talented teacher) As part of the original Kiwiscraps contingent in Tauranga..man that was fun times! 1. Fold your piece of Love Letter DSP in half. Crease all folds with your bone folder. Open flat again with fold line horizontal. 2. 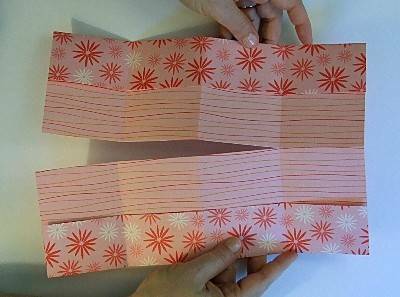 Fold both horizontal edges in approximately 2 inches. You can measure this but it is not important. Make sure both edges are even. 3. see photo for fold lines as follows. 4. Fold vertically in half. 5. Fold outside vertical edges into the centre fold making sure all edges are straight. 6. 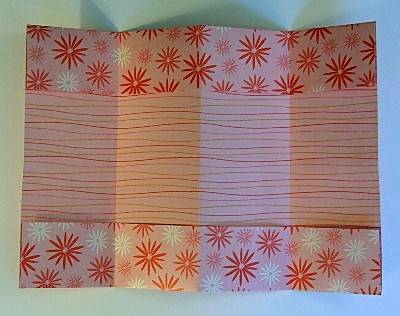 Unfold and cut up horizontal fold to the third quarter fold line. 7. Adhere last quarter folds to each other. 8. Adhere outside edges with thin double sided tape to create the pockets. 9. 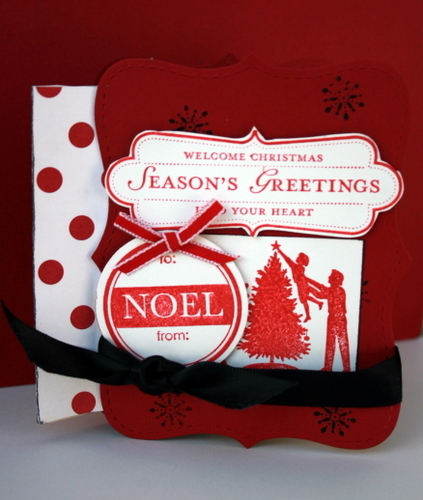 Tie ribbon into a knot onto the front top note die and embellish. 10. Adhere both top notes to the outside of the love letter paper matchiing up both top notes for uniformity. 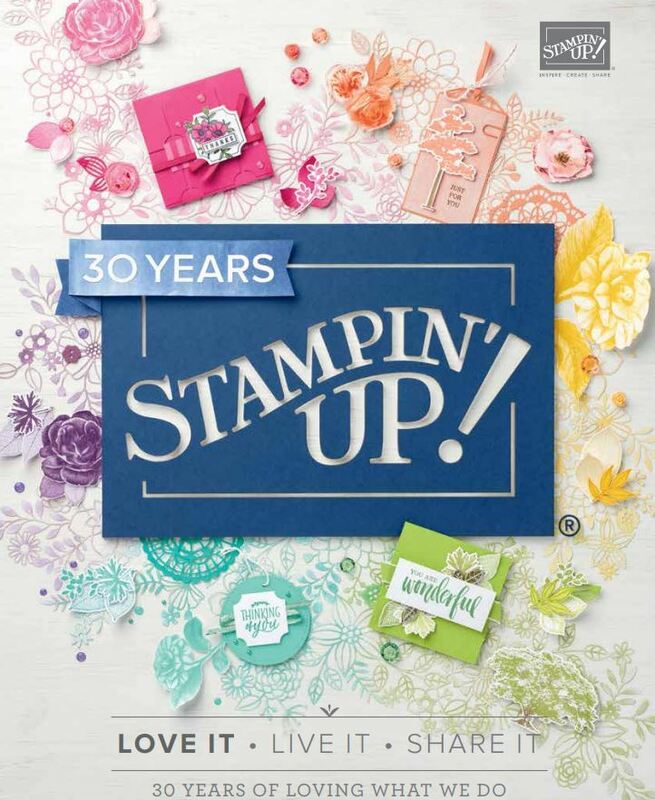 Embellish tags with stamps, photos or journalling. Tags are 3 ½ x 2 ¼. There are 8 tags inside.